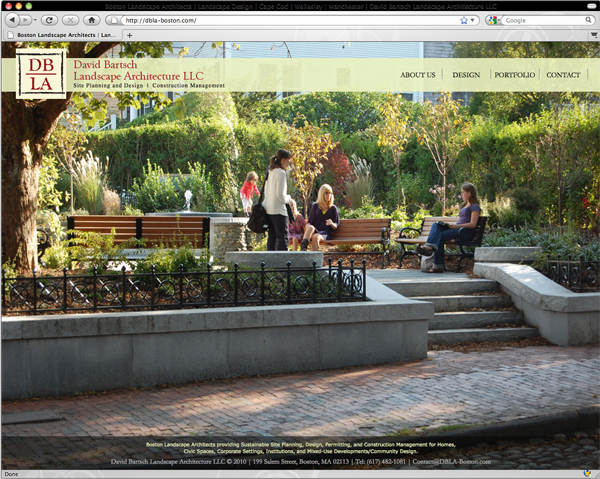 David Bartsch is a gifted landscape architect, who needed a website that truly showcased his beautiful work. Together, we created a dynamic site with beautiful photographs and slow-fade slideshows to show his designs in as large a format as possible. He’s very happy with his website, and has received many compliments on it. I love his gardens and water features! Maybe in my yard someday... ? check out David's gorgeous work here, for your home or office landscape?